the remaining munchkins get their star! hey hey! oh my gosh – this is the sweetest thing i have seen all day – seven of the remaining munchkins from the 1939 classic & much beloved film the wizard of oz were honored with a star along hollywood blvd’s ‘walk of fame’ – they were escorted in on a carriage being drawn by ‘a horse of a different color’! (only 9 out of 124 are still alive today) of course they are all quite old as you can tell by the pics i snapped posted below – yet it’s so great they were able to get out and be honored by hollywood today – they must have felt special and deservedly so! (plus they got the star in front of grauman’s chinese theatre where the movie originally premiered 68 years ago!) of course ‘the wizard of oz’ is one of my favorite movies of all-time – they certainly don’t make movies like that anymore! (i’m sure the munchkins know that too!) popbytes over & out for now…xxoo! i'm off to see mary j. blige! Kate Winslet received a star on Hollywood’s Walk of Fame! 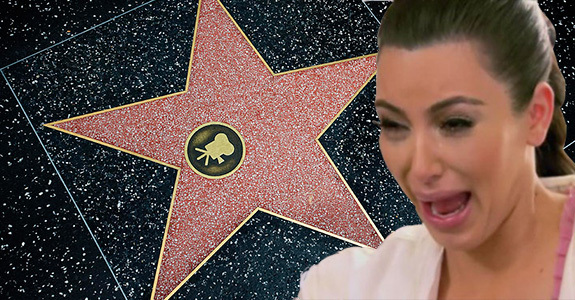 DENIED: Kim Kardashian’s Walk of Fame star! 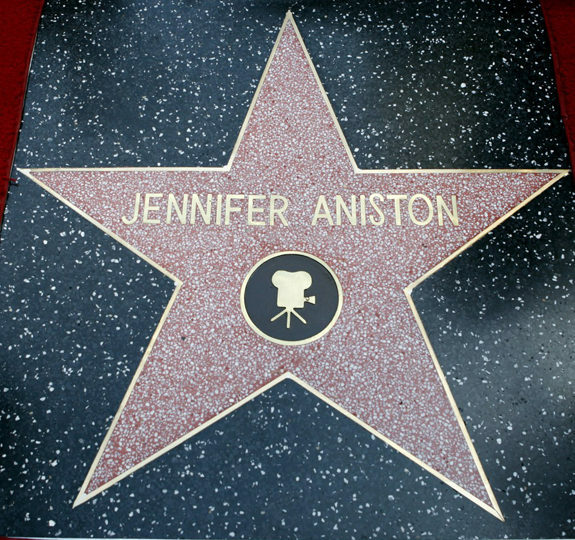 Jennifer Aniston got a star on the Walk of Fame!